I am a business man and was waiting for the launch of Audi Q3 for a long time now. Audi Q3 was launched a few days ago in India; I did a lot of research on the car and finally decided to go for Audi Q3 2.0 TDI Quattro. I took the test drive of Audi Q3 a few days ago before booking one for myself. Ever since I have taken the test drive I am waiting impatiently for my Q3. I also did research on BMW X1, which is an arch rival of Q3, but I zeroed in on Audi A3 only as it appealed to me more than X1. Price wise also Q3 is more affordable than BMW X1 looks wise too I found Q3 much better, probably I am an Audi fan and any other brand fails to impress me. This is the first Audi car in my garage, apart from this I also have a Mercedes Benz C Class which I bought two years ago. 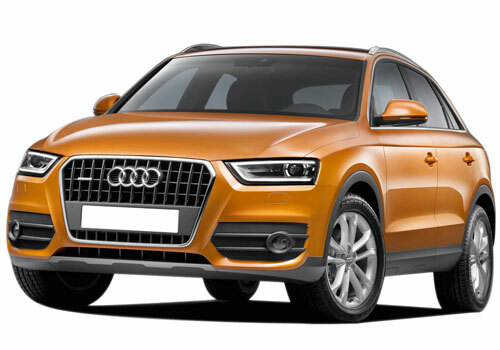 Audi Q3 is housed with a 2.0 litre, TDI diesel engine with an engine displacement of 1968 cc. The engine can push a significantly high power of 177 hp at 4200 Rpm and a peak torque of 380 Nm at 1750-2500 Rpm. Presence of automatic transmission synchronized to a Quattro wheel drive makes it an impeccable SUV. Average of Audi Q3 is decent enough; the diesel motor returns a good mileage of 12 kmpl in city conditions and a spectacular fuel efficiency of 15 kmpl on highways. Audi Q3 comes with a host of features that includes all the basic features comfort and convenient features. Safety features like airbags, anti lock brake system and central locking are also present in the SUV. I just can’t wait for my Audi and would go to Shirdi when I get the delivery; Shirdi is close to Mumbai also so it would be a great fun with family to go to Shirdi in my brand new Audi Q3 SUV. Audi is the most luxurious car among all. The exterior looks with interior design are awesome. The Audi Q3 comes at a price which is sensationally phenomenal and easily affordable to add to the advantage apart from fuel efficiency which again is great. Audi Q3 has been gifted by john abharim to his sister in law. The Audi Q3 is made available at an easy finance and at an affordable price that which is incomparable to any other car in the segment. John Abraham gifts Audi Q3 to his sister-in-law for her birthday.